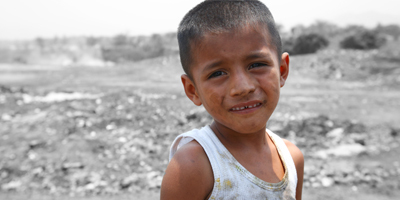 Monthly gifts are extremely important to Cross International and to the poor we serve. These dependable contributions allow us to have a greater impact, fund larger projects and serve with more flexibility. For example, monthly givers are the heroes behind many of our disaster relief efforts. Their gifts also allow us to respond to any emergency needs that arise at orphanages, Christian clinics or church-run schools. We ask everyone to start a monthly contribution, but we also understand that some may only be able to remain in that program for a time. We respect this and make it easy for you to end or suspend monthly giving at any time, at your preference. Why give to Cross International? Your gift empowers our Christian ministry to serve the poorest of the poor by channeling life-changing aid through an international network of church-based ministries and other faith-based Christian organizations already working in the areas of need. This cost-effective approach to helping the poor breaks the cycle of poverty and advances Christian evangelization. Yes. Cross International is a 501(c)(3) tax-exempt organization and your donation is tax-deductible within the guidelines of U.S. law. To claim a donation as a deduction on your U.S. taxes, please keep your email donation receipt as your official record. We will send it to you upon successful completion of your donation. Last year, 96.15% of donations went towards program services, 3.85% to fundraising and administrative expenses. Our board of directors is committed to keeping fundraising and administrative expenses LOW this year too!